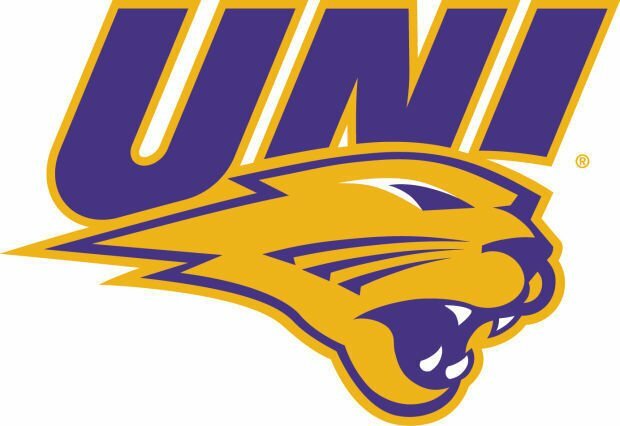 NORMAL, Ill. — Sammey Bunch continued to swing a big bat and Northern Iowa got strong pitching all day as the Panthers swept a Missouri Valley Conference softball doubleheader at Illinois State Saturday, 6-2 and 5-0. UNI won the opener with the long ball and stellar relief pitching. The Panthers took a 2-0 lead in the third on Adara Opiola’s two-run homer, got a solo shot from Ashley Chesser in the sixth after Illinois State tied the game, then put it away on Bunch’s three-run blast in the top of the seventh. Erica Oler and Brooke Craig combined for three innings of shutout relief to preserve the victory. Bunch finished 3-for-4 and Olivia Brooks had a pair of hits. Jaclyn Spencer fired a five-hit shutout in game two to improve to 3-1 on the season. UNI took a 1-0 lead in the second, then erupted for four runs in the third. Bunch homered again, her 12th of the season, and Courtney Krodinger belted her third. Both had a pair of hits and pair of RBIs for the Panthers, who wrap up the series Sunday. Olejniczak, Oler (5), Craig (6) and Chesser. Day, Leonard (7) and LaFountaine. WP — Oler (3-4). LP — Day (5-11). Sv — Craig. 2B — Shaffer (UNI), Felde (Ill. St.), Coursey (Ill. St.). HR — Bunch (UNI), Opiola (UNI), Chesser (UNI), Felde (Ill. St.), LaFountaine (Ill. St.). Spencer and Chesser. Domkuski, Leonard (3) and LaFountaine. WP — Spencer (3-1). LP — Domkuski (4-4). 3B — Brooks (UNI). HR — Bunch (UNI), C. Krodinger (UNI). Records: UNI 17-13, 8-2. Illinois St. 11-23, 5-2. Olejniczak, Oler (5), Craig (6) and Chesser. Day, Leonard (7) and LaFountaine. WP -- Oler (3-4). LP -- Day (5-11). Sv -- Craig. 2B -- Shaffer (UNI), Felde (Ill. St.), Coursey (Ill. St.). HR -- Bunch (UNI), Opiola (UNI), Chesser (UNI), Felde (Ill. St.), LaFountaine (Ill. St.). Spencer and Chesser. Domkuski, Leonard (3) and LaFountaine. WP -- Spencer (3-1). LP -- Domkuski (4-4). 3B -- Brooks (UNI). HR -- Bunch (UNI), C. Krodinger (UNI).